Max, III. In Frankfurt visited him once in the Cheder. Puzzled why he, a year younger than I, suddenly had no time in the mornings to play with me. 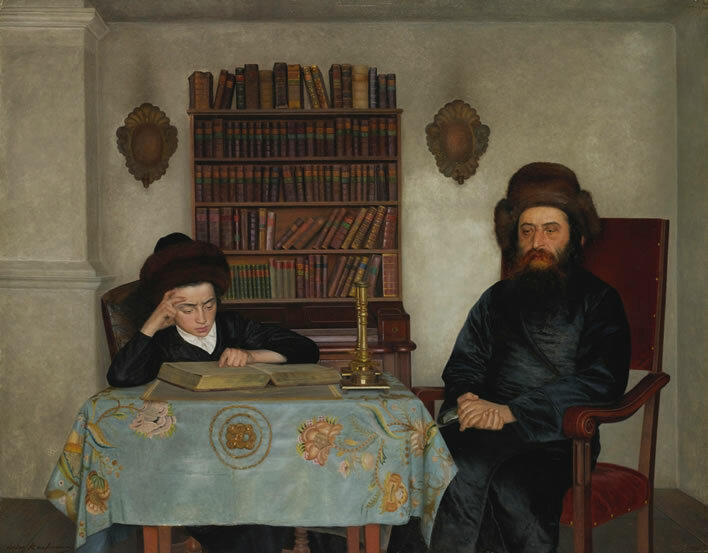 Two enormous books – Bible and Talmud folio – lay on the desk in front of the children. An open glass of honey to the side. The Malamed had a linen bag hanging around his neck. It contained the finger-sized letters of the Hebrew alphabet. One after another, a letter was randomly pulled out and dipped in the honey. The boy who was called out had to close his eyes and was allowed to lick the letter. The Malamed then told him to bend over one of the open books. Every one of the three-year-olds, Max too, found the character from the honey-letter in the text; most of them were licking their lips and laughing at the memory. Wolfdietrich Schnurre, Der Schattenfotograf. Aufzeichnungen 1920-1989, München, List Verlag, 1978, ISBN 3-471-78726-7, p. 16. Translation ©FoS. A Cheder is a Jewish elementary Bible studies school; a Malamed [or Melamed] is an instructor in such a school. Mendel Singer, the protagonist in Joseph Roth's novel Job, the story of a simple man is a Melamed. 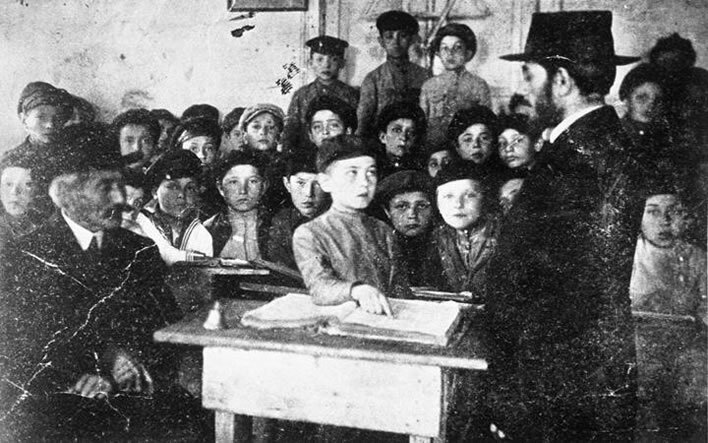 Children learning Hebrew in Lubli, Poland, in 1924. Photographer Alter Kacyzne (1885-1941), Warsaw. Image online, a remarkable collection of Kacyzne's photographs that is well worth a visit. The date of the photographer's death will tell you the rest. 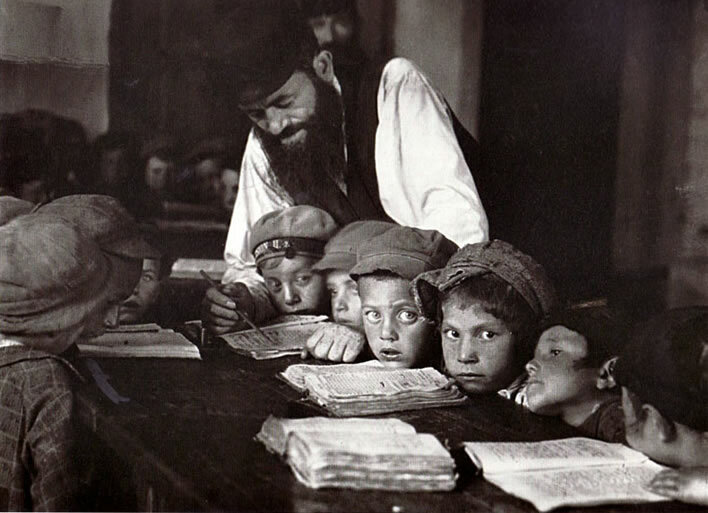 A Cheder in Novogrodek, Belorussia, 1930. 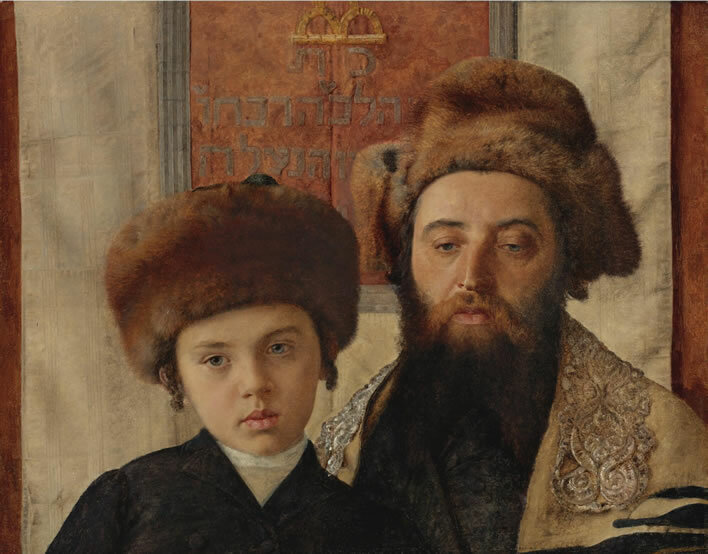 Image: ©Jewish Museum, London.